There is clear evidence that he has broken the law on multiple occasions. And not even Republicans seem to care. An Obama critic, having overplayed her hand, gave Sullivan an opening to respond with what amounts to, “It isn’t as bad as Watergate, nor as bad as George W. Bush.” Let’s concede those points. I don’t much care what Obama’s Republican critics say about him. The scandals they’re presently touting, bad as two of them are, aren’t even the worst of Team Obama’s transgressions. I have a stronger critique. Sullivan hasn’t internalized the worst of what Obama’s done, because his notion of scandal is implicitly constrained by whatever a president’s partisan opponents tout as scandalous. If they criticize Obama wrongly, he defends Obama proportionately. To see what he’s forgotten as a result, let’s run once more through the first questions in Sullivan’s latest Obama apologia. On the subject of war crimes, Sullivan wrote that “Obama and attorney-general Eric Holder have decided to remain in breach of the Geneva Conventions and be complicit themselves in covering up the war crimes of their predecessors – which means, of course, that those of us who fought for Obama’s election precisely because we wanted a return to the rule of law were conned.” In a separate entry, he went so far as to say that Obama is “a clear and knowing accessory to war crimes, and should at some point face prosecution as well, if the Geneva Conventions mean anything any more.” That seems rather farther than Noonan went in her column. Does he automatically count dead military-aged males killed by U.S. drones as “militants”? Did he “sign a bill that enshrines in law the previously merely alleged executive power of indefinite detention without trial of terror suspects”? There is more, as Sullivan knows, and it all amounts to a scandalous presidency, even if it happens that few Republicans care about the most scandalous behavior, and have instead spent almost a year* now obsessing about Benghazi. The IRS scandal and Department of Justice leak-investigation excesses are worrisome, but the biggest scandals definitely go all the way to the top, and are still largely ignored even by commentators who have acknowledged that they’re happening. Sullivan has noted the stories as they broke, and seemed, for fleeting moments, to confront their gravity, noting the violation of very serious laws, and even once stating that Obama deserves to be prosecuted! Yet in response to Noonan, he writes, “So far as I can tell, this president has done nothing illegal, unethical or even wrong.” How inexplicably they forget. PRAGUE, (SANA)- Ex-CNN reporter Amber Lyon revealed that during her work for the channel she received orders to send false news and exclude some others which the US administration did not favor with the aim to create a public opinion in favor of launching an aggression on Iran and Syria. Lyon was quoted by the Slovak main news website as saying that the mainstream US media outlets intentionally work to create a propaganda against Iran to garner public opinion’s support for a military invasion against it. She revealed that the scenario used before launching the war on Iraq is being prepared to be repeated where Iran and Syria are now being subject to constant ‘demonization’. The former reporter clarified that the CNN channel manipulates and fabricates news and follows selectiveness when broadcasting news, stressing that the Channel receives money from the U.S. government and other countries’ governments in exchange for news content. Two-Tier ‘Privileged Flyer’ Program Advances in EU: Non-Approved Unable to Fly? We have in various articles catalogued US programs that allow one to be “pre-approved” and thus avoid the long lines of those who are yet, apparently, to be considered potential terrorists. Eventually, such system will turn into something more difficult, of course – as the emphasis shifts from the approved to the non-approved. This is the logical outcome of the kind of regulatory state that is now being constructed using the war on terror as a pretext. 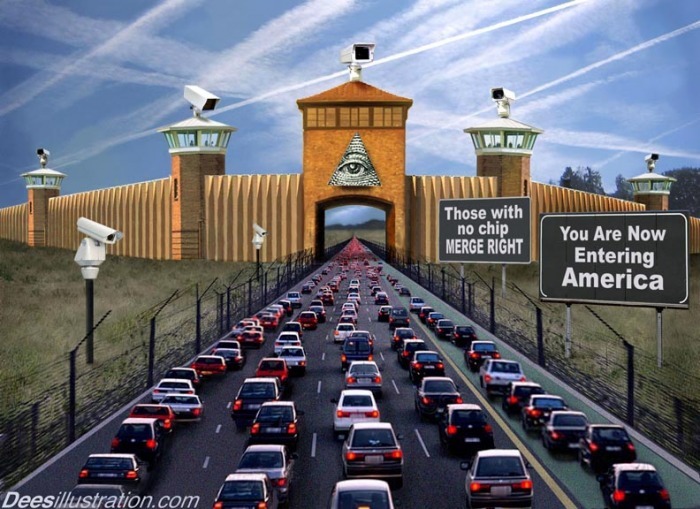 It is apparently a prelude to global (centralized) governance and must be instituted since most people don’t want to live in a single world construct and therefore need to be herded – forcefully – in that direction. Travel restrictions are a useful tool. If such a scenario is to be realized, it must be effective not just in the US but throughout the West and perhaps worldwide. Now in a press released, we are informed the EU is taking steps to harmonize its travel program with the US’s and other powers. “The use of new technologies will enable smoother and speedier border crossing for third country citizens who want to come to the EU. Our aim is to facilitate the access of foreign travellers to the EU. This will not only be in the interest of the travellers but also the European economy. It has been estimated that in 2011 alone foreign travellers made a €271 billion contribution to our economy. Modernising our systems will also lead to a higher level of security by preventing irregular border crossings and detecting those who overstay’, said Cecilia Malmström, EU Commissioner for Home Affairs. Black Hawk Dawn, Zero Dark Thirty and Argo, those are only a few major recent productions showing how today’s movie industry promotes US foreign policy. But the motion picture has been used for propaganda since the beginning of the 20th century and Hollywood’s cooperation with the Department of Defense, the CIA and other government agencies is no modern trend. Zero Dark Thirty is disturbing for two reasons. First and foremost, it leaves the viewer with the erroneous impression that torture helped the CIA find bin Laden’s hiding place in Pakistan. Secondarily, it ignores both the illegality and immorality of using torture as an interrogation tool. Homeland won best TV series, best TV actor and actress. It IS a highly entertaining show which actually portrays some of the flaws of the MIIC system. Argo won best movie and best director. It glorifies the CIA and Ben Affleck spoke with the highest praise for the CIA. And best actress went to Jessica Chastain of Zero Dark Thirty, a movie that has been vilified for propagandizing the use of torture. 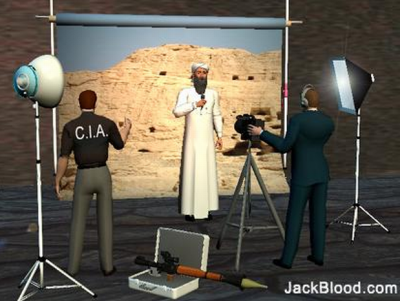 All these troublesome Hollywood connections have been examined in an in-depth report Global Research published in January 2009: Lights, Camera… Covert Action: The Deep Politics of Hollywood. The article lists a great number of movies in part scripted for propaganda purposes by the Defense Department, the CIA and other government agencies. It is interesting to note that this year’s Oscar-winning director Ben Affleck cooperated with the CIA in 2002 as he starred in The Sum of All Fears. Espionage novelist Tom Clancy has enjoyed an especially close relationship with the CIA. In 1984, Clancy was invited to Langley after writing The Hunt for Red October, which was later turned into the 1990 film. The Agency invited him again when he was working on Patriot Games(1992), and the movie adaptation was, in turn, granted access to Langley facilities. More recently,The Sum of All Fears (2002) depicted the CIA as tracking down terrorists who detonate a nuclear weapon on US soil. For this production, CIA director George Tenet gave the filmmakers a personal tour of the Langley HQ; the film’s star, Ben Affleck also consulted with Agency analysts, and Chase Brandon served as on-set advisor. Global Research offers its readers a list of articles on this topic. Contrary to the Hollywood film industry, Global Research is not subject to any influence from the US intelligence apparatus and works to provide you the truth rather than fiction and propaganda. We rely only on the support of our readers to continue the fight for truth and justice. If you want to contribute to independent research become a Global Research member or make a Donation! Your support is very much appreciated. 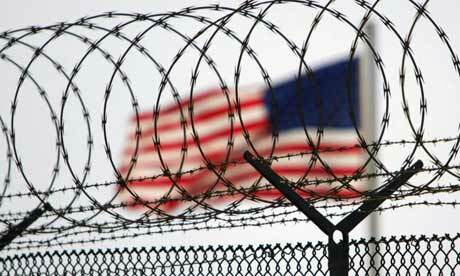 A US flag waves within the razor wire-lined compound of Camp Delta prison at Guantánamo Bay in 2006. Nobody can reasonably dispute that North Korea is governed by a monstrous regime and that it would be better if they lacked a nuclear weapons capability. That isn’t what interests me about this. What interests me here is that highlighted claim: that the US “is the greatest country in world history”, and therefore is entitled to do that which other countries are not. This declaration always genuinely fascinates me. Note how it’s insufficient to claim the mere mantle of Greatest Country on the Planet. It’s way beyond that: the Greatest Country Ever to Exist in All of Human History (why not The Greatest Ever in All of the Solar Systems?). The very notion that this distinction could be objectively or even meaningfully measured is absurd. But the desire to believe it is so strong, the need to proclaim one’s own unprecedented superiority so compelling, that it’s hardly controversial to say it despite how nonsensical it is. The opposite is true: it has been vested with the status of orthodoxy. What I’m always so curious about is the thought process behind this formulation. Depending on how you count, there are 179 countries on the planet. The probability that you will happen to be born into The Objectively Greatest One, to the extent there is such a thing, is less than 1%. As the US accounts for roughly 5% of the world’s population, the probability that you will be born into it is 1/20. Those are fairly long odds for the happenstance of being born into the Greatest Country on Earth. But if you extend the claim to the Greatest Country that Has Ever Existed in All of Human History, then the probability is minute: that you will happen to be born not only into the greatest country on earth, but will be born at the precise historical time when the greatest of all the countries ever to exist is thriving. It’s similar to winning the lottery: something so mathematically improbable that while our intense desire to believe it may lead us on an emotional level wildly to overestimate its likelihood, our rational faculties should tell us that it is unlikely in the extreme and therefore to doubt seriously that it will happen. Do people who wave the Greatest Country in All of Human History flag engage that thought process at all? I’m asking this genuinely. Given the sheer improbability that it is true, do they search for more likely explanations for why they believe this? In particular, given that human beings’ perceptions are shaped by the assumptions of their culture and thus have a natural inclination to view their own culture as superior, isn’t it infinitely more likely that people view their society as objectively superior because they’re inculcated from birth in all sorts of overt and subtle ways to believe this rather than because it’s objectively true? It’s akin to those who believe in their own great luck that they just happened to be born into the single religion that is the One True One rather than suspecting that they believe this because they were taught to from birth. At the very least, the tendency of the human brain to view the world from a self-centered perspective should render suspect any beliefs that affirm the objective superiority of oneself and one’s own group, tribe, nation, etc. The “truths” we’re taught to believe from birth – whether nationalistic, religious, or cultural – should be the ones treated with the greatest skepticism if we continue to embrace them in adulthood, precisely because the probability is so great that we’ve embraced them because we were trained to, or because our subjective influences led us to them, and not because we’ve rationally assessed them to be true (or, as in the case of the British Cooke, what we were taught to believe about western nations closely aligned to our own). That doesn’t mean that what we’re taught to believe from childhood is wrong or should be presumed erroneous. We may get lucky and be trained from the start to believe what is actually true. That’s possible. But we should at least regard those precepts with great suspicion, to subject them to particularly rigorous scrutiny, especially when it comes to those that teach us to believe in our own objective superiority or that of the group to which we belong. So potent is the subjective prism, especially when it’s implanted in childhood, that I’m always astounded at some people’s certainty of their own objective superiority (“the greatest country in world history”). It’s certainly true that Americans are justifiably proud of certain nationalistic attributes: class mobility, ethnic diversity, religious freedom, large immigrant populations, life-improving technological discoveries, a commitment to some basic liberties such as free speech and press, historical progress in correcting some of its worst crimes. But all of those virtues are found in equal if not, at this point, greater quantity in numerous other countries. Add to that mix America’s shameful attributes – its historic crimes of land theft, genocide, slavery and racism, its sprawling penal state, the company it keeps on certain human rights abuses, the aggressive attack on Iraq, the creation of a worldwide torture regime, its pervasive support for the world’s worst tyrannies – and it becomes not just untenable, but laughable, to lavish it with that title. This is more than just an intellectual exercise. This belief in America’s unparalleled greatness has immense impact. It is not hyperbole to say that the sentiment expressed by Cooke is the overarching belief system of the US political and media class, the primary premise shaping political discourse. Politicians of all types routinely recite the same claim, and Cooke’s tweet was quickly re-tweeted by a variety of commentators and self-proclaimed foreign policy experts from across the spectrum. February 23 marks the 1000th day in which alleged WikiLeaks whistleblower, 24-year-old US Army intelligence officer Bradley Manning, has been jailed by US authorities without trial. A pre-trial hearing in January in the case of Manning, concluded that his defence would be restricted to arguing motive during his trial, scheduled for June 3. Manning has been accused of leaking thousands of classified documents to WikiLeaks, which revealed a wide range of US war crimes, as well as evidence of corruption and lying by a range of governments. BradleyManning.org said Manning is “accused of releasing the Collateral Murder video, that shows the killing of unarmed civilians and two Reuters journalists, by a US Apache helicopter crew in Iraq. He is also accused of sharing the Afghan War Diary, the Iraq War Logs, and a series of embarrassing US diplomatic cables. “These documents … illuminated such issues as the true number and cause of civilian casualties in Iraq, along with a number of human rights abuses by U.S.-funded contractors and foreign militaries, and the role that spying and bribes play in international diplomacy. The US government, however, responded to the leaked evidence of serious US crimes by charging Manning with several offences, alleging that he “aided the enemy”. Judge Army Colonel Denise Lind’s January 17 ruling, like previous rulings in Manning’s case, remains unavailable to the public. Information can only be gleaned from reporters who were present at the hearings. Kevin Gosztola, a journalist who has been diligently covering Manning’s case, was present at the hearings. He said the ruling means the defence cannot discuss whether Manning had “good faith” when arguing against charges that he “wrongfully and wantonly cause[d] to be published on the internet intelligence belonging to the United States government”. Nor can the defence use the argument in relation to charges where the government has to prove he had “reason to believe such information could be used to the injury of the United States or to the advantage of any foreign nation”. However, the defence can discuss motive when addressing charges that Manning aided the enemy, to put the case that he did not know passing information to WikiLeaks would constitute “dealing with the enemy”. It will also be allowed for sentencing, in which case he will have already been found guilty of very serious crimes that carry the potential for life imprisonment, or even potentially the death penalty. The question of motives could, at best, be used only to appeal for leniency in sentencing. Manning’s defence team hoped to argue that he had the motive to “select information he believed could not be used by the enemy to harm the US”. However, the judge ruled that Manning’s subjective conclusions were “immaterial”. The ruling also closed off the defence’s attempt at having damage assessment reports allowed in the trial. These are reports conducted by US security agencies that investigated damage caused by the leaked documents. The reports concluded that there was no or very little harm caused, so the government prosecutors are eager to keep the reports out of the trial. Lind determined that Manning could not have known what measures agencies of government would have taken to mitigate damage so such evidence was not relevant. These rulings greatly limit the defence’s line of argument. Gosztola described the primary line of defence for Manning as “odd”. Defence will argue that the military let Manning down by not practising good information security and also pointing to Manning’s mental health issues and claiming that the military was derelict in providing care. This is a “litigious” defence, he says, which isn’t actually aimed at saying Manning is not guilty, but rather trying to get the charges thrown out. The hearing has also renewed interest in how the final judgement will impact the mainstream press’ publication of the leaks. Scott Shane in the New York Times quoted an exchange where “Colonel Lind, the judge, asked a prosecutor a hypothetical question: If Private Manning had given the documents to The New York Times rather than to WikiLeaks, would he face the same charges?” The prosecutor answered yes. The NYT, along with many other mainstream publications, published hundreds of the documents that Manning allegedly leaked to WikiLeaks. The Justice Department continues its investigation into whether WikiLeaks head Julian Assange and his associates can be charged over publishing secret US cables. Hearings also considered the defence’s charge that Manning’s rights had been violated due to unjustified delay of the trial. If the judge rules in the defence’s favour, there is the potential for the charges to be dropped. Manning was first jailed on May 27, 2010. The defence put forward examples of when they believed the government had failed to act or acted improperly. Defence and the judge seemed to agree that there was no case in military justice history that took so long to go to trial. If the defence succeeds in pushing this argument, all the charges against Manning could be dismissed due to the speedy trial violations. Lind is due to make her ruling before the next hearing begins on February 26. Meanwhile, Manning languishes in solitary confinement in Fort Levenworth, Kansas. The Bradley Manning Support Network reports events are being planned around the world, including the US, Germany, Canada, Britain and Italy on February 23, to mark Manning’s 1000th day of jail. Dominant Social Theme: These fellows have bigger tin foil hats than anyone. Free-Market Analysis: Doubts about NASA’s landing on the moon persist despite everything that NASA and its enablers and supporters do to stamp them out. Recent polls have shown that up to 30 percent of those questioned on the issue have considerable doubts that man reached the moon. The frustration is almost palpable among those who support the official narrative and we understand why this should be so. The various landings on the moon are among humankind’s most significant accomplishments – assuming they are as reported – and are also a resonant triumph for the modern US … as leviathan and empire. The moon landings, in fact, are a most significant elite dominant social theme. They act as a metaphor for the regnant State, a justification for big government, a signifier for empire. Everything about the moon landings supports the current scenario of the Western paradigm. NASA is a gigantic bureaucracy; the astronauts worked for the US military; the political wing of the US empire provided the funding. If the moon landings are a hoax, then a basic anchor of the military-industrial complex is unmoored. In the excerpted report article above posted at Slate, we can see yet another attempt at mocking those who doubt. Slate, a certifiable elite mouthpiece with leftist inclinations, is just one more outlet that can provide us with coverage of what “sensible” people think of the loons who don’t believe NASA’s presentation of the facts. We’ve carried plenty of articles about NASA’s moon landings and indicated our skepticism of the current official narrative. And debunking videos and articles are posted all over the Internet – as are rebuttals. It is a fierce argument that, like the 9/11 debate, refuses to die. Other debunking arguments have been given life by what we call the Internet Reformation. The shootings of John F. Kennedy and Robert Kennedy as well as the assassination of Martin Luther King. The reason there are increasing – not decreasing – doubts about official stories on almost any controversial topic is because we are today in possession of a narrative that was not available before the advent of electronic communications. Today, we can see the sweep of modern Western history – official history – and compare it to another narrative that has been patiently constructed over the past two decades by emergent alternative media. The alternative narrative is both shocking and compelling. It postulates the existence of a small group of impossibly wealthy individuals funded by the Internet who seek world government and are manipulating historical events to gain it. These people use Money Power to create directed history – always with the end goal of global governance in mind. War, depression and regulatory democracy are all manipulated toward one end: the centralization of power. Keeping this narrative in mind, it is perfectly understandable that those who doubt the official story about the moon landings should emerge and continue to voice their difficulties with the official story. What is driving the moon doubters is not so much the particulars of the explanations as the larger view of how the power elite has operated over the past century or more. The ramifications are sociological, political and, of course, economic. As trust erodes in the current moorings of monetary and fiscal policy, significant sums of money are at stake. If the current central banking paradigm is jeopardized as a result of doubts generated elsewhere, then a social breakdown can take place – one that can jeopardize the very fabric of economy. And yet the doubts persist and even expand. One can argue, in fact, that the rise and continuance of moon landing skepticism already serve as a kind of metaphor for a larger cultural breakdown. This is surely the reason for the amount of pushback that moon-hoax believers receive from mainstream sources. The debunking Websites and the energy generally devoted to maintaining the official moon narrative is startling. It is as vehement and persistent as debunking rhetoric itself. We are continually surprised by these mainstream arguments, as we know of only a few other elite memes that attract as much defensive energy. Perhaps no others. How quickly best laid plans become passé. New world orders come, it seems, as frequently as eclipses. The old world order (ancien régime), along with 16 million people, died during the Great European War which began on June 28, 1914 when the Austrian heir to the throne, Archduke Franz Ferdinand, was assassinated by a Serb nationalist, Gavrilo Princip, in Sarajevo. (Today he would be called a terrorist.) This assassination sent nations that had no desire to go to war into the most destructive war the world had yet experienced. Europe at the beginning of 1914 consisted of six major empires and an assortment of minor states that the major empires didn’t care much about. The six major empires, (the Austro-Hungarian, French, German, British, Ottoman, and Russian) were ensnared in military alliances (much like the US is today) which were formed to keep the peace. The diplomats, like those today, believed that forming alliances that balanced the powers of different groups would keep them from attacking each other. The Central Powers consisted of Austro-Hungary, Germany, and the Ottoman Empire; the Triple Entente consisted of the other three. Peace, the diplomats thought was assured. What happened? When the archduke was assassinated, the Austrians, confident in their military prowess (as Americans are today), decided to punish Serbia which was attacked on July 28. But the Serbs ambushed the Austrians at the battles of Cer and Kolubara. The Austrians were thrown back with heavy losses. Russia came to the aid of its ethnically related Serbs, and Germany invaded France through Belgium and Luxembourg. Britain came to the defense of France and the Ottoman Empire joined the war in the Balkans on the side of the Central Powers. The alliances that were to ensure the peace changed a single assassination into a massive war. When it was over, the Austro-Hungarian, the German, the Ottoman, and the Russian Empires had vanished and the United States, which joined the war late on the side of the Triple Entente had become a world player. The old world order was gone! Woodrow Wilson, the American President, sought to create a new old world order by proposing his Fourteen Points. Wilson wanted to create separate nations out of former colonies and ensure the peace by creating a League of Nations (another peace by treaty scheme). Territorial reductions were made to Germany and Austria, a slew of new and revived nations were created in Eastern Europe, while France and Britain carved up the Ottoman Empire to suit themselves. The new old world order was just a reconfigured old world order. It didn’t last and it didn’t ensure the peace. So much for the best laid plans of diplomats. Germany was reborn in 1933 when Adolph Hitler became Chancellor. He, too, sought to create a new world order, one dominated by a Thousand Year Reich (Empire). To that end, his policies were aimed at seizing Lebensraum (living space) for the German people by extending Germany’s borders. Austria and parts of Czechoslovakia were annexed and Poland was invaded. But alas, Poland had a mutual defense treaty (another alliance formed to ensure the peach) with Great Britain and France, so the invasion of Poland started World War II. When it was over, Germany again was destroyed and Great Britain and France, for the most part, had had their empires diminished. The United States and the Union of Soviet Socialist Republics (Russia) found themselves at the top of another new old world order. The victorious powers, the US, the USSR, China, Great Britain, and France tried again to ensure the peace by creating the United Nations which they attempted to keep firmly in their control by making themselves rulers of the Security Council which had a veto on all UN Activities all five nations didn’t give unanimous approval to. That was to be the new old world order. But it began to come unglued immediately. China was not represented by mainland China which had become Communist but by “Nationalist” China whose government had fled to Taiwan. Communist China soon took the Chinese seat and the two Communist nations formed a bloc while the remaining three Capitalist nations formed another. The United Nations became the Disunited Nations and has remained so to this day. This new old world order was stillborn. If there were no nation states, no wars could erupt between them! Some believe that these international bankers have succeeded in taking over the world, but it has never succeeded in abolishing nation states. In fact, there is some evidence that nation states may be disintegrating into smaller ones. Scotland is going to hold a referendum on withdrawing from England, Catalonia is talking about withdrawing from Spain, Czechoslovakia has broken up into the Czech and Slovak republics, there is talk again of secession in the US, and no one quite knows what is really happening in the Arab world. 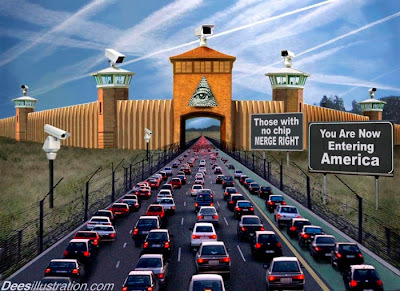 A new world order ruled by one government? Not hardly! But things began to break down in the 1950s. Until then, wars were fought between armies supported by nation states, and their endings were foreseeable. A war ended when one army, either voluntarily or on command, surrendered. That era appears to have ended. Old world order warfare appears to have become passé.